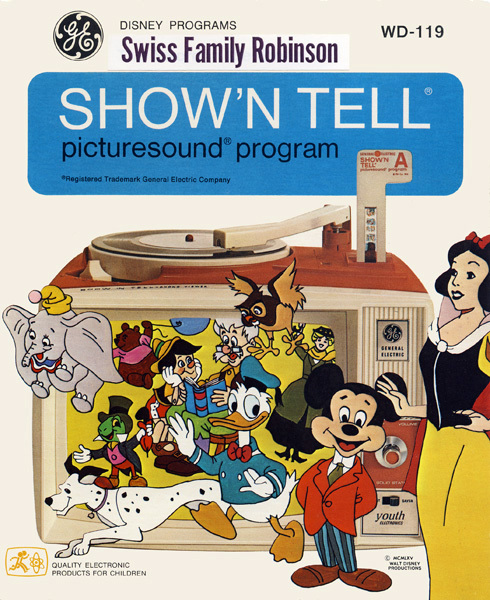 Record Comments: SHOW'N TELL picturesound program records were designed to be played on a special toy record player produced by General Electric that contains a built-in speaker and slide viewer that is shaped like a television set. The record and slide strip come housed in a cardboard sleeve that opens like a book. There is no additional text on the back of the front cover. 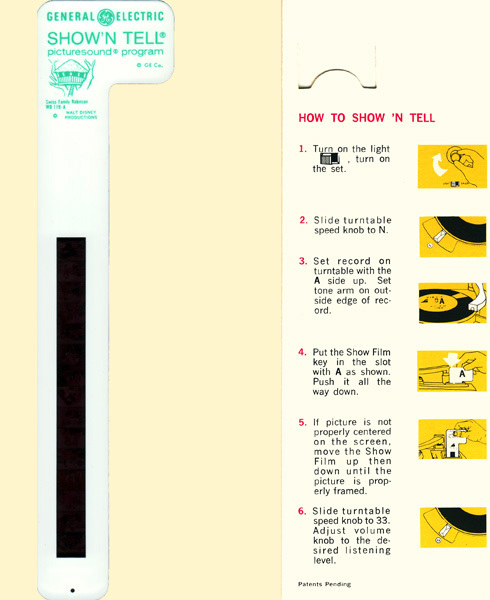 The record and slide pocket side lists operating instructions. 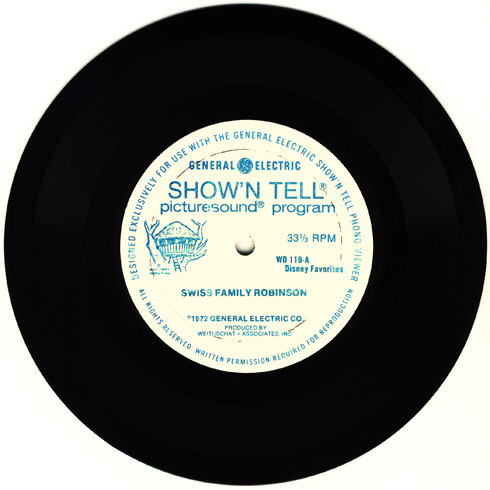 Although the records will play on a standard record player, when viewed on the SHOW'N TELL player, the slides will automatically advance to match the story narration. 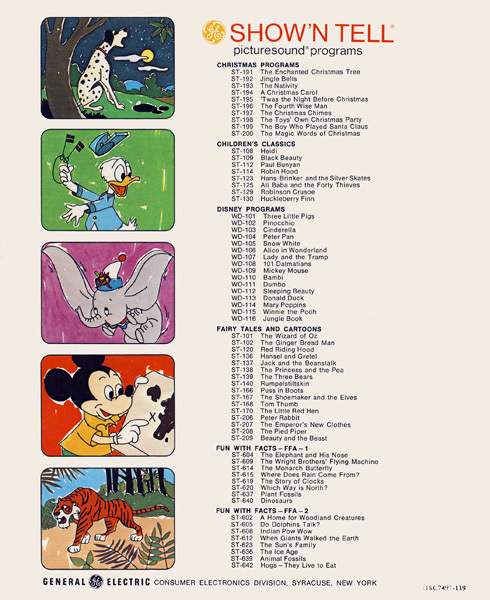 This record is part of the first series of 24 different Disney programs and includes "Swiss Family Robinson" with narration and sound effects on side one. Side two includes a story with a song about Blackbeard. The program list on the back cover may vary with some issues. This cover contains the program title on a sticker, while some issues have the title printed directly on the cover. Subject Notes: "Swiss Family Robinson" is a Disney live-action feature that premiered in theaters during December of 1960. The running time is approximately 126 minutes.